Just wanted to share some interesting piece of information on the brand Tag Heuer . The watch which all watch lovers would like to own , at least one piece from their collection In there lifetime . Tag heuer was founded in 1985 when tag manufacturers of high-tech items such as ceramic turbochargers for Formula One cars, acquired Heuer.But as we known these watches are mainly popular in the sports world for their accurate measuring instruments. Mostly popular among athletes, these timepieces are a craze in the market among watch lovers too. *TAG Heuer traces its roots to the 1860 foundation of Uhrenmanufaktur Heuer AG by Edouard Heuer in St.Imier, Switzerland. The company was purchased by TAG Group (Holding )S.A. in 1985 and the Heuerbrand became TAG Heuer. 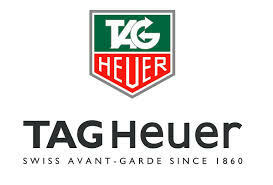 In 1999, TAG Group sold TAG Heuer to French luxury goods conglomerate LVMH which stands for Louis Vuitton Moet Hennessy . *In the early 1950s, Heuer produced watches for the American retailer Abercrombie & Fitch The “Seafarer” and “Auto-Graph” the two collection pieces were unique chronographs produced by Heuer to be sold by Abercrombie & Fitch. The “Seafarers” had special dials—with blue, green and yellow patterns—that showed the high and low tides. This dial could also be used to track the phases of the moon. Heuer produced a version of the “Seafarer” for sale under the Heuer name, with this model called the “Mareographe”. The “Auto-Graph” was produced in 1953 and 1954, and featured a tachymeter scale on the dial and a hand that could be preset to a specific point on the scale. This allowed a rally driver or navigator to determine whether the car was achieving the desired pace, over a measured mile. Advertisements and literature also pointed out that this hand could be rotated to count golf scores or other events. * in most watches catalogues and in-store displays you’ll find the time is displayed as ten minutes past ten o’clock or sometimes ten minutes to two o’clock. And that is because of The popular meaning for this is that it’s “Happy Time” or that the clock is smiling which becomes an emotional marketing tool to encouraging you to feel good when you’re looking to buy that particular watch or clock. * Jack Heuer, the great grandson of the founder, is the Honorary Chairman. TAG Heuer maintains a watchmaking workshop in Cornol , Switzerland and a watchmaking factory in La chaux-de-fonds, Switzerland. And The Brand TAG Heuer hasn’t changed its slogan “Swiss Avant-Garde Since 1860”.